Born and raised in Ivory Coast, Nader mainly focused on soccer and tennis, until he discovered running when he moved to Lebanon for studying. As of 2014, Nader focused on running, training extensively. 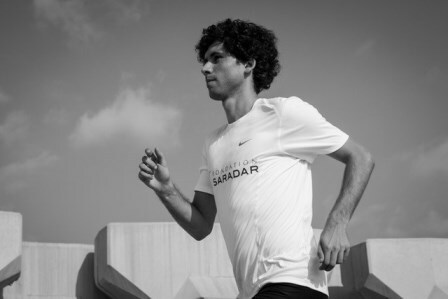 He participated in several competitions in Lebanon, Abu Dhabi, Ivory Coast and Portugal, ranking with the aim and dream to qualify for the 2020 Olympics.As of 2014, Nader focused on running. Nader Jaber joined Fondation Saradar Sports Program in 2016. Nader will be part of the National team to take part in the West Asian Championship in Jordan.